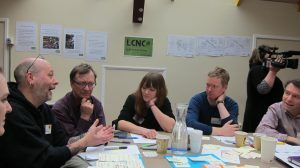 Working in partnership with the London Community Neighbourhood Co-operative, The Glass-House led a knowledge exchange initiative to explore the opportunities and challenges of community-led housing in high demand, urban areas. The first phase of this project was a workshop that brought together community activists, designers, funders, academics, local authorities, housing associations, developers and policy advisors to explore the current landscape for community-led housing and how it could help tackle some of the housing challenges we face in towns and cities across the UK. 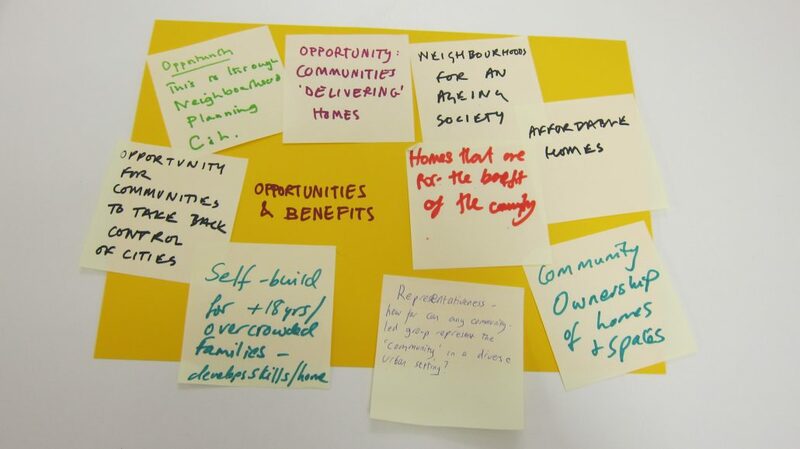 The aim was to create a space for dialogue among the various players involved in making community-led housing happen, to make a case for housing led by local people and to identify key opportunities and challenges for a more collaborative approach to supporting the movement. We also commissioned a film that explores community-led housing: what it is, the challenges to its development and some of the ways in which we can all help to support its growth as an inclusive housing option. 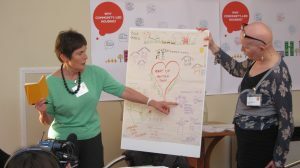 The film includes the voices of participants at our workshop event, along with case studies of three community-led housing projects: Bristol Community Land Trust, Rural Urban Synthesis Society and LCNC. The film was launched in April 2016. 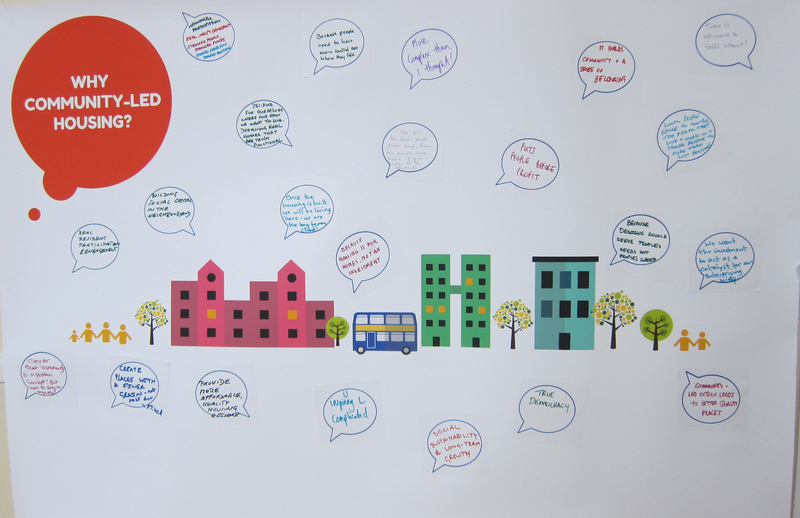 Our knowledge exchange initiative was part of a wider programme to support the growth of affordable, community-led housing projects through greater understanding of the opportunities and a wider awareness of methods, resources and support. Coordinated by the Building and Social Housing Foundation (BSHF), it was funded by the Nationwide Foundation. 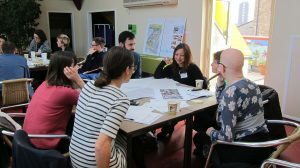 The workshop created a space in which different players in community-led housing could gain a better understanding of the current landscape, and the multiple perspectives and realities of those engaging with it. Interaction with the diverse participants attending challenged perspectives and perceptions of their own sectors and others, and the role that each had to play in making community-led housing happen. 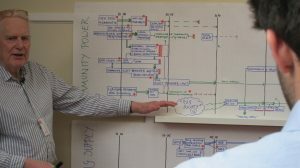 A space for joint reflection, discussion and working helped forge a better understanding of how each person there, and the sectors they represented, could influence and support the growth of housing developed by communities.